A trip to Spain, for the first time in more than twenty years. In this time, I have spent 2 months in Argentina, Uruguay and Bolivia and been to Mexico 3 times, so I am not used to hearing Spanish with a Castillian accent. Jo used to teach a course on the films of Pedro Almodovar, and so so I have seen most of his ouvre; the result is that in Spain, the sound of Castillian made me constantly feel as if I was in an Almodovar film, and therefore expecting to see all sorts of post-modern urban happenings - transvestite nuns making dramatic entrances etc. Jo and I spent a week in the Alpujarra, the range of hills which act as foothills to the mightly Sierra Nevada in the south of Andalucia. It was disappointingly early for wildflowers, although we saw a lot of interest – this is one of the most floristically diverse places in Europe. At lower altitudes however there was plenty in flower. A good chance to appreciate the shrubby maquia flora which is so different to what I am used to, and in particular to see the range of textures its shows. There are so many differences between one micro-habitat and another – we may be thankful for our green and lush climate but at the same time it was interesting to be somewhere which did not have the same suffocating bright green grass on every piece of open land. Spain is actually the highest country in Europe – in terms of the proportion of land at altitude. Which means that much of it has a very severe climate for gardening – a combination of Mediterranean and Continental, so winters are very cold, with icy winds and hard (but generally only overnight) frosts and very hot dry summers. The flora of stressful environments is often more diverse and richer than 'better' places to grow, a counter-intuitive fact I endlessly point out in my workshops. And of course Spain was less affected by the ice ages than northern and central Europe, so the flora is richer anyway. 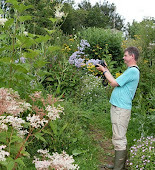 It really is very exciting botanically. So where is gardening at in Spain? Still very much undeveloped. Long a backwater, owing to its politics and poverty, it had a few years of prosperity (as good an argument for the European Union as any) before suffering an economic slump. Economic conditions in other words are not good. The garden world may be small, but has its bright stars. Two of whom I met: garden designers Miguel Urquijo and Fernando Martos. They are working in a similar genre, using plants appropriate to the climate, including many natives and responding to the landscape. They have both ditched the until-now-prevailing largely Italian model of clipped formal hedges, which “always look the same” in favour of clipped low shrubs and sub-shrubs and interspersed with perennials and grasses. If those of use from northern climes have an instinctive reaction against clipping then think of it in this way – there is not much weeding needed here, compared to what we do, and so frequent clipping is simply swapping one chore for another. The clipped lavender, cistus, Pistachia lentiscus, etc. very much evoke the olive trees and Quercus ilex of much of the landscape, those endlessly repeated grey hummocks. 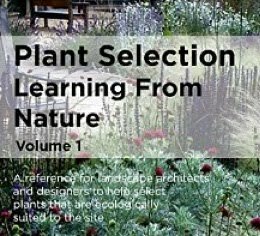 Using a wider diversity of species is difficult as the nursery industry is very undeveloped and predictable in its offerings. More interesting plants have to be imported from Netherlands or France. There are though, according to Miguel and Fernando, a few Spanish nurseries beginning to be more adventurous, but they will only widen their range if they know they can sell the plants, so garden designers have to try to create a demand. Potentially a vicious circle if no-one buys new plants, it can become a virtuous circle if designers commit to buying new plants, so enabling other customers to see and experiment. It is a familiar story – the Oudolf story is like this – Piet and Anja started growing new plants themselves because no-one else did, and then retail customers liked what they saw, and the rest is history! Fernando tells me he is hoping to start a small nursery himself, so he can get what he wants. As an aside, I met my Chinese colleague Ye Hang in Sheffield this week, who tells me that her husband is back in China, setting up a nursery which is aiming to do the same sort of thing, growing plants of the Yangtze valley. I got the feeling that here is, possibly, hopefully, a whole new garden style, for a country that has one of the richest of floras. I feel very optimistic for the future of Spanish gardening. The other interesting thing about Spain, which really slotted in to place for on this trip, was just how relevant it is for us in Britain. For some time now I have been saying how the British climate has more in common with a Mediterranean climate than with the Continental one so many of our garden plants come from. We grow lots from both of course, but the number of days weather we have which is similar to that of a continental climate is quite limited, as we do not have their hot summers or cold winters. One could say that a typical day of a Mediterranean winter is like the typical British day – cool, bit moist - good growing conditions in other words. Mediterranean summers are so hot and dry that plants become dormant – in other words Mediterranean plants are in active growth in conditions which our climate replicates for most of the year. Add in the vicious cold winds and frosts of central Spain and it should be pretty clear that anything that comes from there is going to be both hardy and drought-tolerant. In the Alpujarra the very familiar Euphorbia characias was everywhere, often growing under trees in dry deciduous shade. A brief roadside stop in León revealed Stipa gigantea as a key part of the local flora, and Viburnum tinus lining woodland further back. 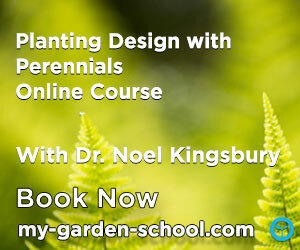 A source of diversity for our gardens, but also a place to learn about how to use familiar plants as well.